Former school board member Lilisa Mimms, who is running for an at-large council seat, released a 39-page plan on Wednesday afternoon laying out her vision for the city. Some of the specific proposals in her plan include setting aside $500,000 per year in the municipal budget to deal with neighborhood blight, boosting the recreation budget “immediately” by an additional $1 million, and creating a volunteer “Community Ward Council” to gather inputs from residents. 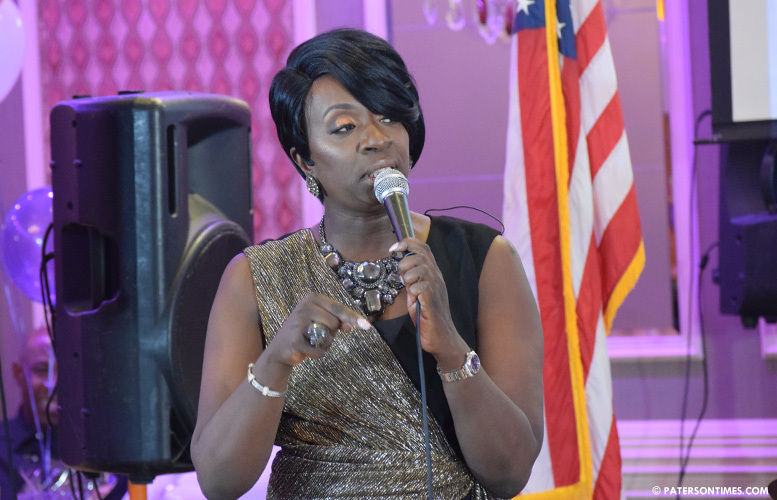 “I don’t have all the answers, but I believe my plan will put the city on the path to becoming an engaged, effective and efficient government that will consistently put its people at the top of every agenda,” said Mimms on Wednesday. Mimms said funds for the additional $1.5 million in expenditure will come from trimming waste in the budget. She cited the $1 million that was wasted in purchasing the recreation trailer at Buckley Park and the funds expended to repair the exterior of Hinchliffe Stadium. Other candidates in the race reacted to her plan on Thursday morning. Morris, who is the chairman of the finance committee, said he would criticize the plan as “irresponsible” if it were coming from someone who had institutional knowledge. Mimms is unlikely to find $1.5 million in the budget that does not involve cutting personnel. Morris pointed out the recreation trailer was covered using grant funds and the renovation of stadium is covered by a bond voters approved to restore the historic structure. Jones ran twice for office. In 2014, for an at-large seat, and in 2015, for the 1st Ward council seat. He lost both times. He plans to release a plan of his own at a future date, he said. “Her team beat me to it,” said Jones. Mimms’ plan, distributed to her supporters through social media and to reporters over email, gave Jones the idea to release his plan as a PDF format document. Jones had been thinking of releasing his plan as a booklet, but had been told that could cost as much as $10,000. A PDF document would be a cheaper alternative, he said. “I didn’t see the plan to be honest with you,” said former councilman Mohammed Akhtaruzzaman, who lost his 2nd Ward seat to councilman Shahin Khalique in 2016. He is now seeking to return as an at-large councilman. “It’s a good plan to someone that doesn’t have governmental knowledge,” said school board member Flavio Rivera concurring with Morris. Some political insiders have described the plan as too generic. “Show me your plan,” Mimms challenged her opponents and detractors. She had previously criticized candidates for running without providing a detailed written plan for voters to see prior to casting their ballots. Release of her plan may force other candidates to follow suit. “It does provoke conversation. That’s always good,” said Morris. Mimms’ plan also calls for a more transparent government. For example, Mimms wants to see voting records from council meetings posted online. She also wants taxpayers to have the option to pay sewer and tax bills over the internet. Municipal officials for years have promised to give taxpayers’ the ability to pay bills over the internet. However, it has yet to happen. In fact, the last promise expired in late 2017. Mimms also wants a revamped municipal website to provide more information to residents. “Paterson’s best days are ahead,” said Mimms. Mimms’ full plan can be found by clicking here. This report was updated with comments from councilman Kenneth Morris and school board member Flavio Rivera at 5:20 p.m.
To quote a great man, Paterson is a sh*thole run by thieves and barely literate incompetents who are voted in ever election by idiots.